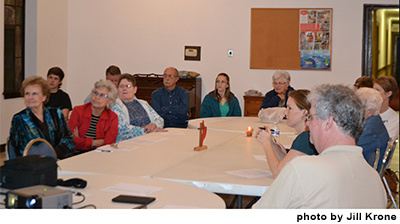 Leaders at First UMC Anahuac are experiencing new ministry successes after adopting a streamlined committee leadership structure popularized by the Vibrant Church Initiative and larger congregations. Problem: The “typical” church structure of multiple committees is driving the mission of the church versus the mission driving the structure. Solution: Streamlining congregational leadership structures to the popular Accountable Leadership Model for greater success in their mission of making disciples for the transformation of the world. It may sound hard to believe, but a growing number of congregations across the conference are bidding “goodbye” to committee-heavy church structures, and saying “hello” to a single board model. Dr. Jesse Brannen, Director of the TAC Center for Congregational Excellence and Vibrant Church Initiative Director Rev. Mike Tyson are seeing churches experience new levels of success in their mission, thanks to the streamlined Accountable Leadership concepts outlined in a book called Winning on Purpose by John Edmund Kaiser. The buzz around this idea is requiring Jesse to hit the speaking circuit, sharing nuggets of insight with leaders at district trainings and local church leadership meetings. 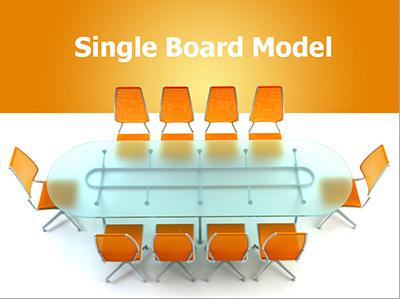 The concept of a single board with 9-13 members elected by the charge conference initially caught fire through the Vibrant Church Initiative. According to Mike, the Judicial Council has approved this alternative structure, ruling that the Discipline 247.2 provides the options to be creative as long as the duties of the Trustees and SPRC are covered. Rev. Dr. Kelly Krone heard about this model and asked Jesse if it would be appropriate for a 100-125-member church such as FUMC Anahuac. The answer: Absolutely! “Churches seem to be experiencing a vacuum of trained leaders, so it made sense to me that we could develop a smaller group of leaders that see the vision and want to work toward the mission instead of writing committee meeting reports,” notes Kelly. Following a candid discussion and training session with leaders and members of the congregation, FUMC Anahuac voted to transition to this Accountable Leadership model. “We see the value in returning to a simpler time,” adds Kelly. “What we once called the Board of Stewards governed the church in the 1940s. 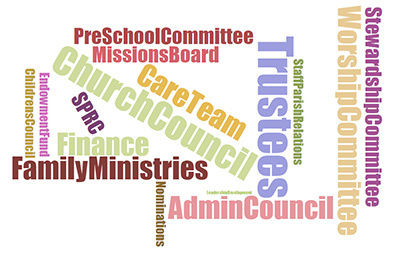 We are calling our new 14-member structure the same -- but with more focus on implementing the mission of the church.” The basic functions and factions of the church will be represented, per the Book of Discipline, on the new board: SPRC, Finance, Lay leader, Young adults, and key ministries of the church. During the various trainings he has given around the conference in recent months, Jesse explains 1) the key concepts of accountability and how traditional leadership structures thereby dilute the overall effectiveness of the leaders, and 2) the strengths of the single board model. “For example, the Accountable Leadership model marries responsibility and authority with accountability, promotes church unity, functions on a high level of trust, facilitates quick decisions, and is driven by mission fulfillment,” he notes. This model’s acronym of SIMPLE reminds all of the importance of Setting expectations, Inviting commitment, Measuring progress, Providing feedback, Linking to consequences and Evaluating effectiveness. Is it a Good Fit for your Congregation?